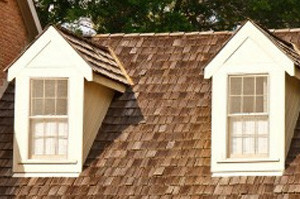 Shingled Roofing | Cedar Shake Roofing | Slate Tile RoofingIf you have noticed mildew growing on your roof, buckling and curling of shingles, damaged or missing shingles, or leaks, it is time to contact the roofing contractors at Naperville Exteriors, Inc. for roof repair or roof replacement. We are the premiere roofing professionals in the Greater Chicago Metropolitan Area and we provide expert roofing solutions at prices you can afford! Naperville Exteriors, Inc.’s certified roofing contractors are on hand to cater to all your needs. We strive to please each and every one of our homeowners. Excellence is not something we aim for; it is something we insist upon! Regardless if you are looking for Cedar Shake Shingles, Traditional Shingles or Slate Tile Roofing, Naperville Exteriors, Inc. will help you find the right style for your home. You can rely upon us to get you covered with the right shingles! From the instant our roofing contractors arrive at your residence, special care is provided to your property. Naperville Exteriors, Inc. does everything they can to make sure your residential grounds are protected from damage. We are well-known for going that extra mile for our customers! It’s no wonder Lockport residents consistently choose us over the competition. They are well aware that Naperville Exteriors, Inc. has all the right roofing solutions for all the right prices! Lockport, Illinois is an historic city located 30 miles southwest of the Chicago Loop in Will County. Lockport is listed on the National Register of Historic Places and it was named one of the fastest-growing suburbs in America, by Forbes Magazine. The growth and development of the State of Illinois is attributed in large part to the existence of the Illinois and Michigan Canal that linked the Great Lakes to the Illinois and Mississippi rivers. The I&M Canal was vital to the development of the City of Chicago and to the economic development of the Midwest. Lockport is fittingly called “The City that made Chicago famous!” There are nearly 25,000 residents living in Lockport. The city boasts spacious luxury homes, townhouses and charming historic homes. That’s the reason so many Lockport homeowners have been involved in home restoration and renovation. When it comes to new roofing and shingles, they seek the professional advice and expertise from the roofing experts at Naperville Exteriors, Inc. They understand they can always count on them to deliver exceptional services. All of our roofing contractors at Naperville Exteriors, Inc. are fully certified before they set foot on your property. Naperville Exteriors, Inc. is licensed, fully insured, and bonded. Plus we have an A+ rating from the BBB. From the quality of the materials we use to the safety we demand, with Naperville Exteriors, Inc., customers are guaranteed the best services and support. When you hire Naperville Exteriors, Inc., you get a trusted consultant who has extensive roofing knowledge and expertise to perform a systematic roof analysis. Naperville Exteriors, Inc. gives you all the necessary details to help you determine the right roof system for your home and your budget. If you are in the market for roof replacement, roof repairs, or roof installation, call Naperville Exteriors, Inc. today, at: (630) 254-4831!